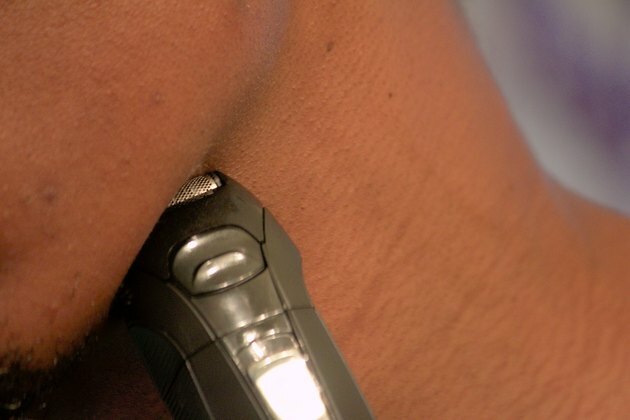 When you make the switch to an electric razor, you may find it irritates your skin. This is likely because your face and skin need to adjust to the changes in pressure and heat that come with using an electric razor over a traditional straight razor. If your face seems hot, red and irritated after using an electric razor, adopt some of these techniques to try to increase comfort while shaving. Soak your facial hair before you begin shaving. 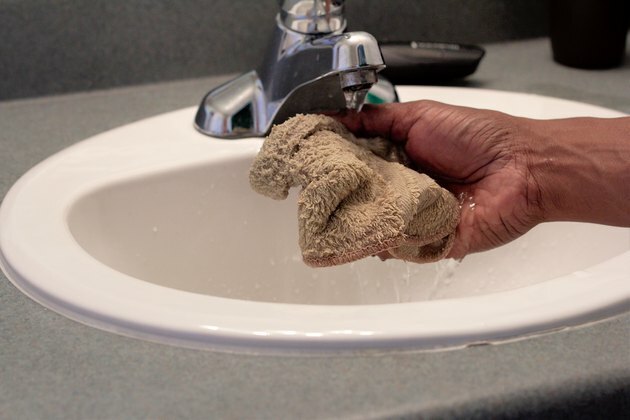 Run a washcloth under hot water momentarily, then wring out some of the excess. Fold the washcloth into quarters and apply to your face for three to five minutes. This will open the pores and soften hair, making it easier to cut through so you can use less pressure and less repetition. Start shaving your most sensitive areas first, suggests BeautyCare.com. 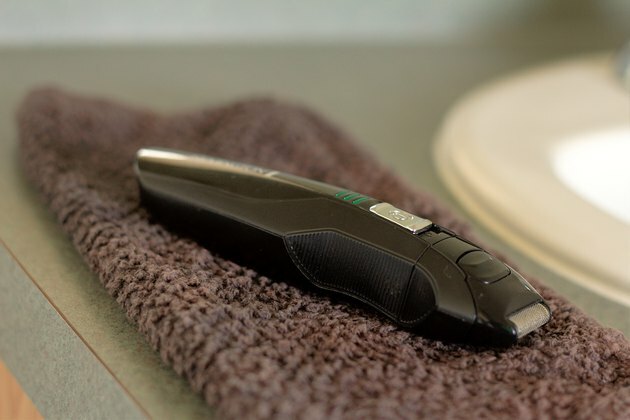 Electric razors tend to heat up as you use them. 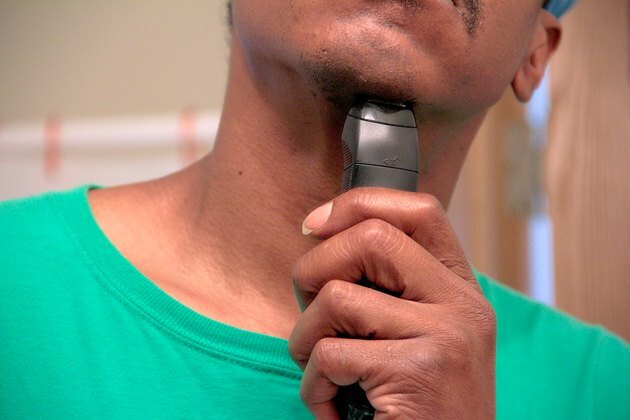 If you find your irritation is caused by the heated surface of the electric razor, shave your neck, under your ears and your other sensitive surfaces before the razor becomes too hot. Look in a mirror as you shave, taking note of which areas are already sufficiently shaved. Shave carefully, ensuring that you don't go over the same spot too many times. Repetition and friction over the same spots, especially if they're sensitive, can cause redness and irritation. Focus on which areas of the face you've already shaved. 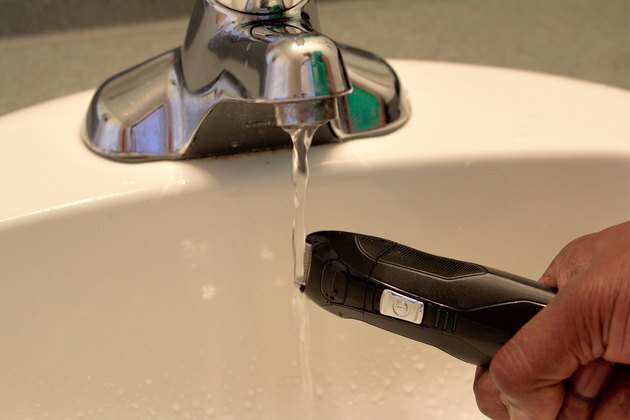 Clean your electric razor after every two or three uses, suggests the Mercury Shaver Center. Whether you use a foil razor or a circular razor, the blades can become clogged with small hairs, causing them to cut less precisely. With a dull razor, you'll have to press harder and go over the same spots multiple times to get the shave you want. Clean and replace heads as soon as you observe a difference in sharpness and cutting capacity. Give your skin plenty of time to adjust to the electric razor. If you've always used straight razors in the past, your skin may become irritated with the pressure needed when using an electric razor. 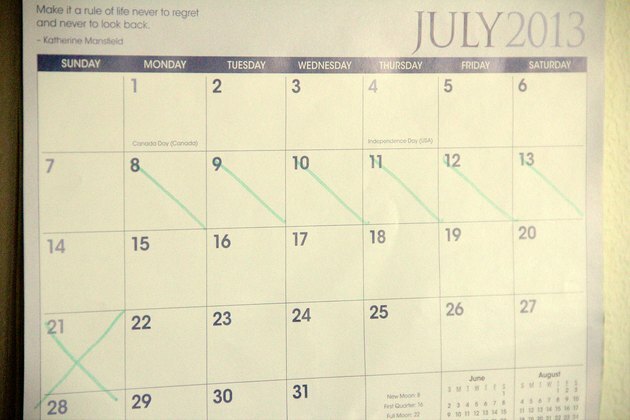 Wait one or two weeks for your skin to become used to the new method of shaving before you decide if an electric razor is right for you, suggests Hudson's FTM Resource Guide.